A beautiful hotel dating back to the 1800s. 190 rooms, most of them with balcony and fjord view. 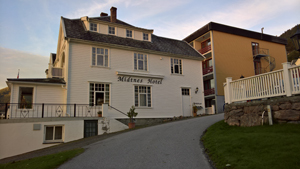 10 demi-suites in the historic building. Conference capacity: 200. The dining room can seat up to 400 guests. 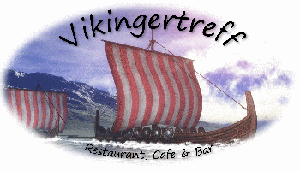 Evening buffet and a la carte menu. 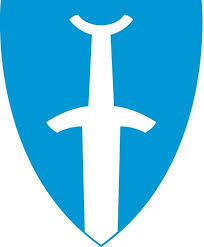 Fully licensed. 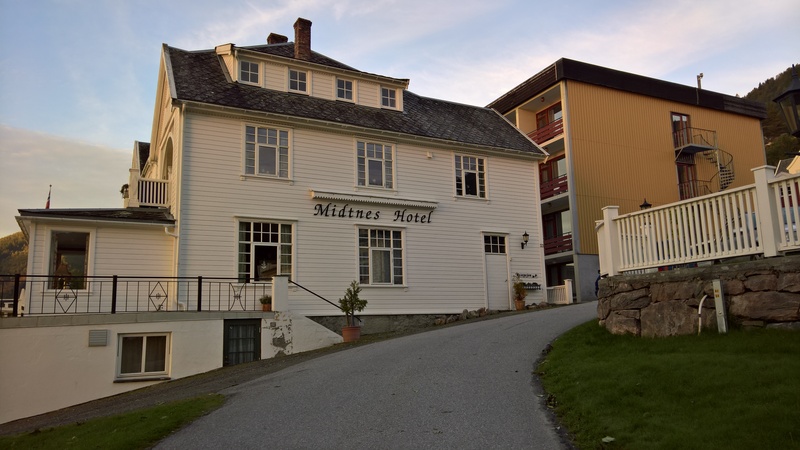 The Midtnes Hotel is a small and cozy middle class hotel. 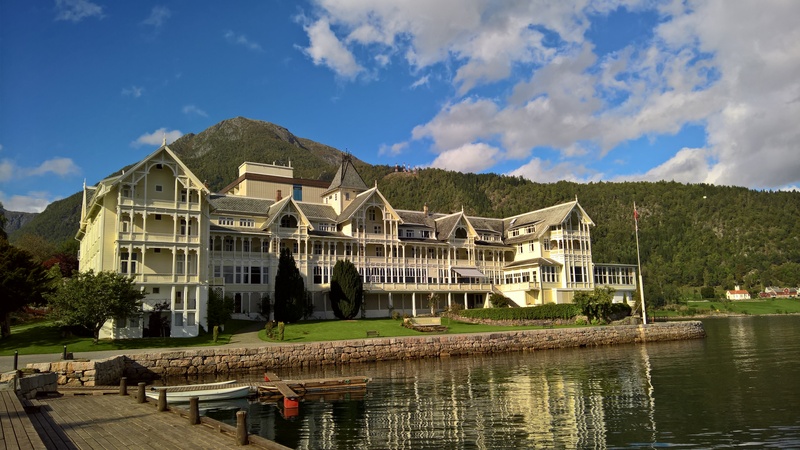 Single rooms and double rooms with 58 beds. 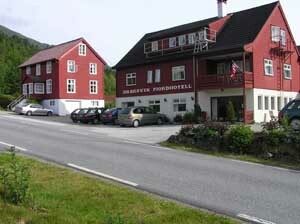 All with shower and toilet, and several rooms with balcony. All the rooms are in the new part of the hotel. 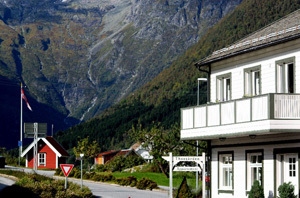 Balestrand Hotel is a quiet, family run bed and breakfast. 30 rooms, all with shower and toilet. 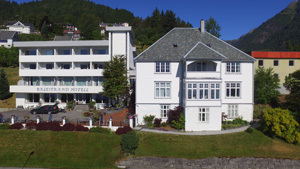 Half of the rooms have balcony and a beautiful view overlooking the fjord. 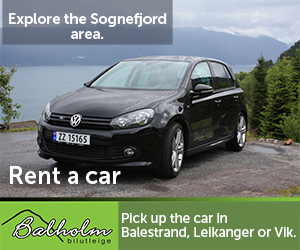 Recently renovated one-room apartments with bathroom, kitchen, TV and wifi. 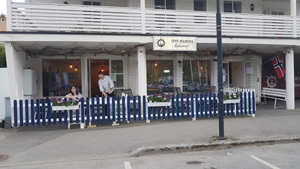 With space for a small family..
Dragsvik Fjordhotell is a family run hotel with cozy atmosphere og good traditional food, located in Dragsvik, 9 km from downtown Balestrand, and only minutes from the ferry place. 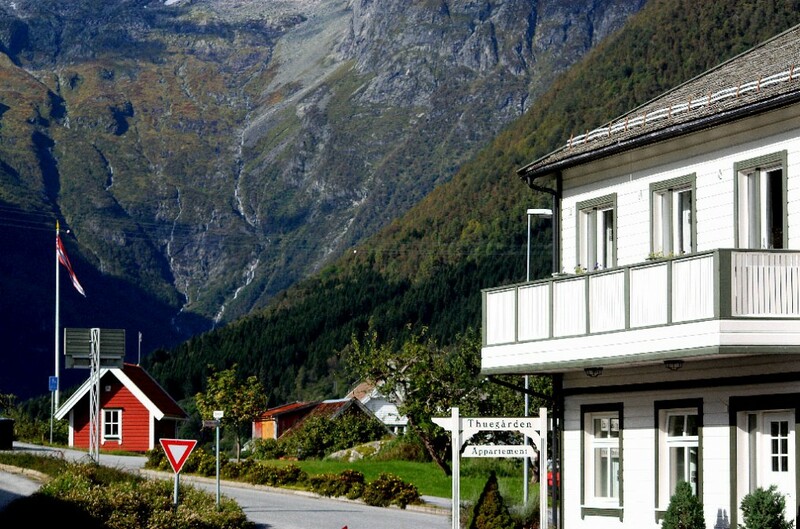 The hotel has 26 rooms and 5 fjord cabins. 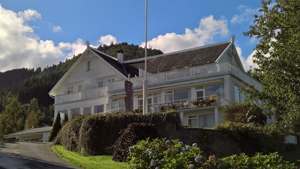 Located at the end of Esefjorden, 4.5 km (2.8 miles) from downtown Balestrand, surrounded by high mountains with snow on the tops. 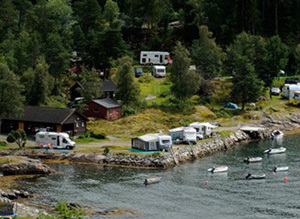 Cabins, space for tents and sanitary facilities in amazing surroundings! 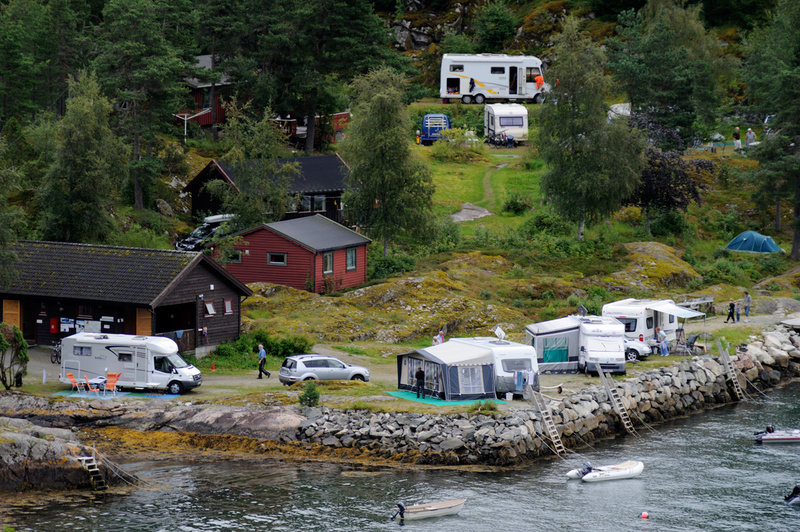 Veganeset Camping is located by the Sognefjord, 9 km (5.6 miles) from downtown Balestrand, close to the ferry place. Standard cabins, and cabins with shower/WC. 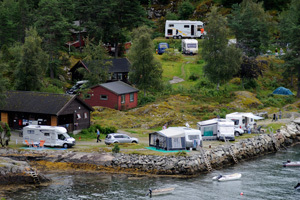 Space for motorhomes, caravans and tents. Sanitary facilities and kiosk.